The exterior of a home or business needs cleaning just like windows. Don’t forget about exterior cleaning. Dirt, pollens, spiders and other debris accumulate on exterior walls, sidewalks and patios. 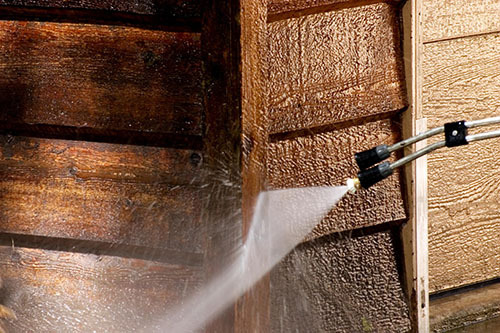 E-Z Window Cleaning can pressure wash your home or business, thus giving it a “fresher” appearance. If fact, exterior cleaning is a perfect complement to window washing. In addition, we power wash horizontal surfaces, including decks, sidewalks and driveways. **The windows should always be cleaned immediately following pressure washing to prevent spotting or hard water deposit build up on windows. Show some love to the exterior of your home or business. Contact us for an estimate.